The ever increasing popularity of Git seems to know no bounds, which is not bad for something that’s named after a British English insult that’s only slightly more venomous than “idiot”1. 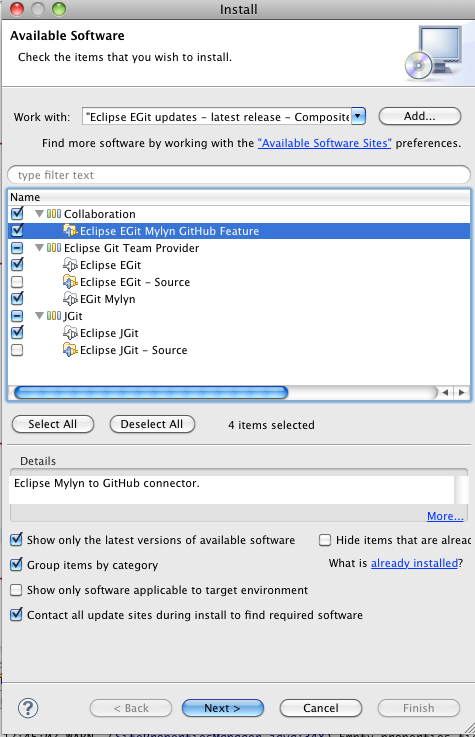 Being popular, there is an eclipse plug in available and this short blog covers how to install it. ...which will display the following dialogue box. In the drop down box, select Eclipse EGit updates and continue the installation... However, if that site is unavailable, click on the ‘Available Sites’ link just below the ‘Add’ button. 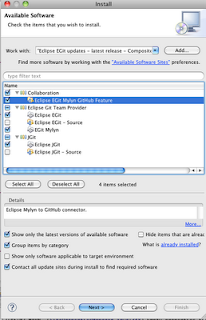 In the next dialogue box, type ‘git’ into the ‘filter text’ box to find and select the ‘Eclipse EGit Updates - ‘ site. Finally, press next and install the software. You can also say: “Jammy Git” for someone who’s luck is undeserved. “Old Git” for a cantankerous old / middle-aged man, “Stupid Git” a tautology, kind of means idiotic idiot or “Smarmy Git” for someone of a slimy, overly ingratiating personality.